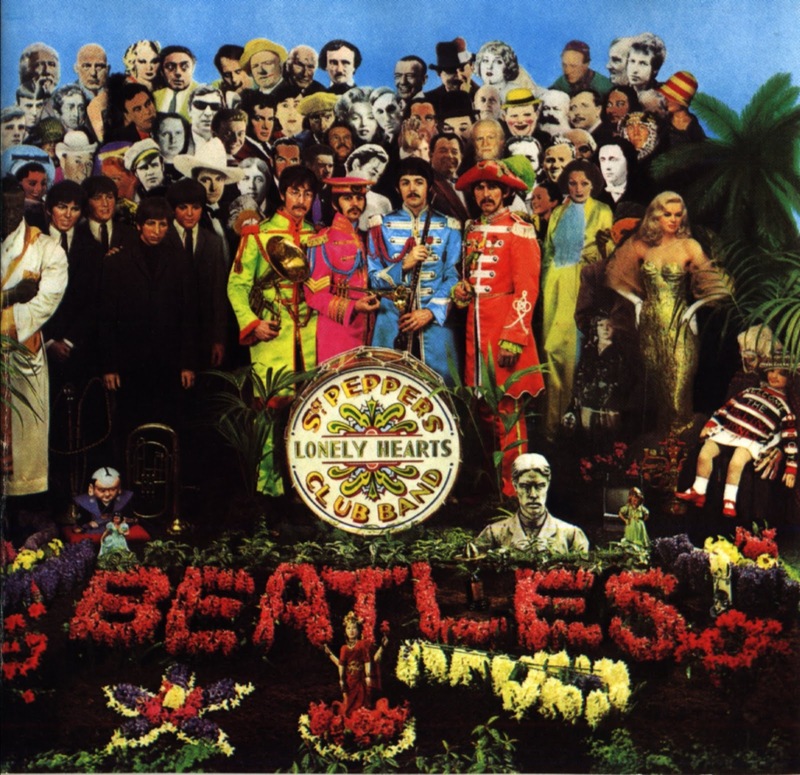 Beatles FAQ: Who was rejected for the Sergeant Pepper album cover? Who was rejected for the Sergeant Pepper album cover? There are famous faces are all over the most iconic LP sleeve in pop history - but several eminent figures are notable by their absence. So while there are several Indian gurus, Ghandi did not make the final cut. He was painted out at the request of EMI who feared his image might offend record buyers in India. Actor Leo Gorcey was also painted out of immortality - his agent made the mistake of asking for a fee. As with all creative projects involving The Beatles, there was an engaging randomness about the collage. English comic Tommy Handley shares the stage with Swiss psychiatrist Carl Jung, for example, while very-much-alive Fred Astaire is next to the long-dead nineteenth century author, Edgar Allan Poe. Film star Sophia Loren is the image - but you can't see her. She and fellow Italian Marcello Mastroianni are hidden behind the waxworks of The Beatles. “Elvis was too important and too far above the rest even to mention- he was more than merely a pop singer, he was Elvis the King." The suspicion remains, however, that there might have been a little payback for the haughty treatment The Beatles received from their idol. John was particularly upset at being stood-up by Elvis in 1964 during their first US tour. They had made a long detour to visit Graceland but arrived in Memphis to find that His Royal Highness had left town for the weekend. How about Hitler? Or Jesus? Some very unlikely options were considered by designers Peter Blake and Jann Haworth. A cardboard cut-out of Hitler was produced but (wisely) removed from the photoshoot at the last minute. John Lennon also proposed Jesus - but Brian Epstein did not wish reignite the controversy of the previous year.